At SupportEd, we know that English Learners (ELs) bring many strengths to their schools and communities. SupportEd provides educators and other stakeholders in ELs’ education the skills and resources they need to champion ELs’ success within and beyond their classrooms. We understand the challenge, hard work, and joy of serving ELs. Our staff, comprised of experienced English for Speakers of Other Languages (ESOL) educators, administrators, and researchers, is uniquely qualified to support your district’s EL needs. See our services catalog for more information. Our online PD allows teachers and administrators to learn at their own pace while improving their classroom practice and support of ELs. We offer many supporting services from curriculum development to technical writing. ELs are the fastest growing segment of the K-12 population. Our book provides a single resource to help your ELs meet the same challenging content standards as their English-proficient peers. Dip into a toolbox of strategies, examples, templates, and activities from EL authorities Diane Staehr Fenner and Sydney Snyder. A culturally responsive school climate is integral in supporting today’s multilingual learners (MLs) and their families. Explore the meaning of culture and its implications for teaching, and unlock a toolbox of strategies to strengthen your use of culturally responsive teaching practices. Unlocking English Learners’ Potential, this course focuses on building ELs’ academic language at the word, sentence, and discourse level. 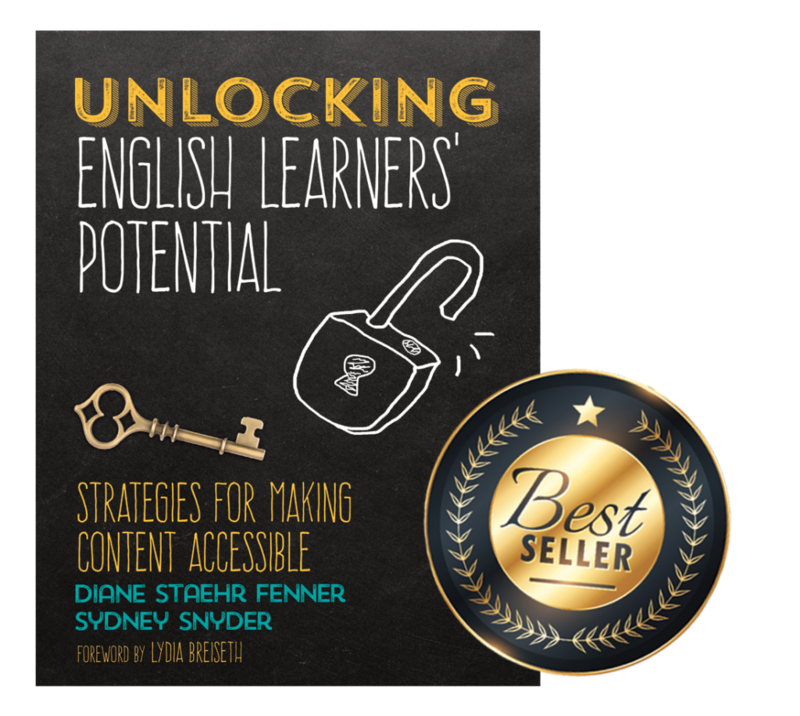 Based on our bestselling book Unlocking English Learners’ Potential, this course explores best practices for scaffolding content instruction for ELs, supporting oral language development, and implementing formative assessments. Based on our bestselling book Advocating for English Learners, this course explores strategies to advocate for ELs in your own context to provide equitable learning opportunities and supported parent involvement in your school. This course delves into the specific strengths and challenges of students with limited or interrupted formal education (SLIFE). It explores topics such as supporting and engaging SLIFE and their families; developing of materials, activities, and programs; and effectively instructing SLIFE.